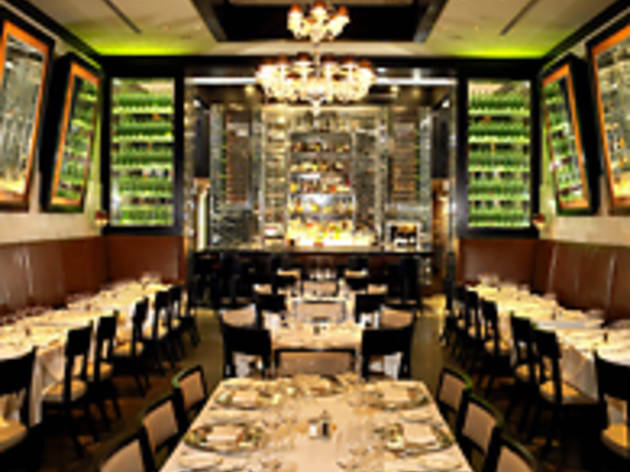 Chic and sleek, Quattro’s swanky Euro interior—terrazzo floors, green glass, mirrors and chandeliers—entices A-listers, and the northern Italian cuisine pulls in the foodies. Antipasti include the usual heirloom tomatoes and buffalo mozzarella, eggplant parmigiana and cured Italian meats. For mains, an 8oz beef filet satisfies the expense-account crowd—this is a power lunch hotspot—while squid ink tagliolini makes for a decadent dinner, accompanied by a choice of 300 Italian wines. 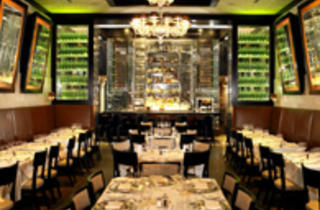 A good place to soak up South Beach glam, even if the ambience occasionally overshadows the food.